and some white. When the white ones were dry, I doused those with spray adhesive and sprinkled on Epsom salts. Some white glitter would have been nice, too, but I didn't have any, and I was determined to keep this project free. Then I simply used one of my wreath forms and my glue gun and layered on all the various kinds of leaves, including a few that I left in their natural green. And voila! A pretty, wintry wreath! Now I don't feel quite so wistful about taking down the Christmas decorations. How about you? Are you all finished taking down your Christmas decor? Any fun winter decorations? I'd love to see! That's so pretty! I love the simplicity. Now I doubly want a magnolia tree! 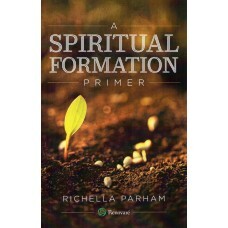 I love it Richella! It is the perfect thing to take us to the next season...I have stripped all of my Christmas decor down too and am trying to "transition" as well! That's a great idea! That wreath turned out so pretty. What I love about homemade wreaths is that noone else has one just like yours on their front door too. Ha! I love it, Richella!!! Magnolia leaves are gorgeous and that wreath is totally fabulous!! I never would have thought of using the epsom salts. What a brilliant idea! So smart! I'm with you on the snow. Last year we had SEVERAL inches on January 9th. It was almost 70 degrees here today. What happened to winter? i know how you love your magnolia... and i LOVE the wreath. it is so pretty there on your door! i am still in the mess of christmas stuff... but this year i might take it down sooner than later! Magnolia trees- such pretty leaves- a no show in Colorado though! Great wreath! It's so tough to figure out what to hang on the door this time of year. 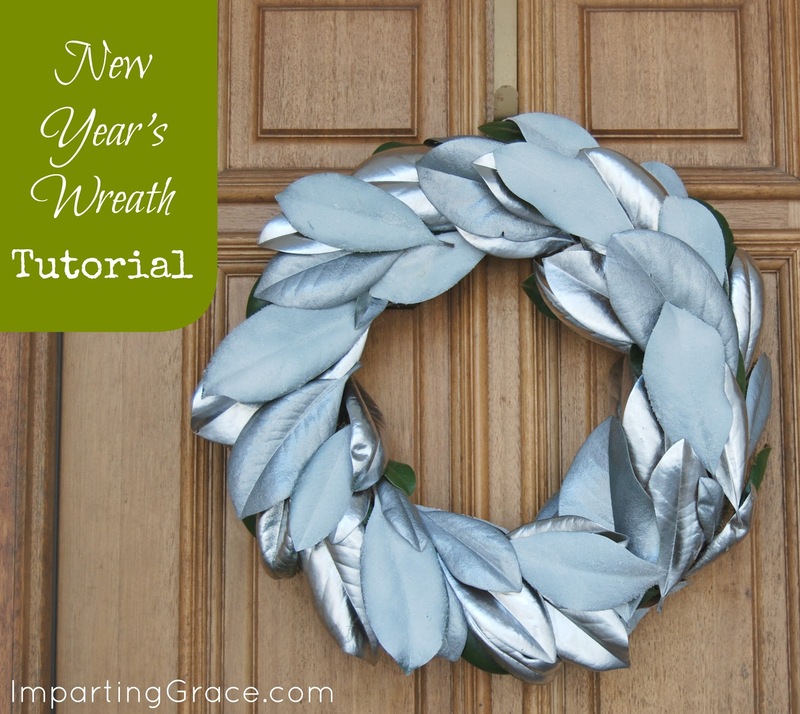 Your wreath is a perfect solution and I love that you made it without having to buy a thing. I'll bet the silver glistens in the sun. what a perfect winter wreath! just pinned it. I always think of silver when I think of January. That wreath is so pretty. Epsom Salts would really make it sparkle...great idea! I still have to take down the Christmas stuff. With my brother's heart issues we are behind on things. But it is ok...it will happen eventually. Oh so simple and beautiful...what's not to love. Found you through Leslie's page (Goodbye House, Hello Home). We seem to be sharing her Inspiration category. LOVE your blog title, Richella. I love it! So pretty and and seems so easy to do! What a fun idea and I just happen to have a magnolia tree right out aside my door. But, I'm done in with decorating. I love the tip for the Epson salt. I just bought some after seeing a tip on Pinterist for plants. 2 Tbsp per 1 gal. water once a month. It's GORGEOUS!! And I love that fact that it was all made using what you had to hand. I love that hammered silver spray - love it!! So pretty--it brings out fabulous colors in the stonework of your entry. Gorgeous! How did I miss this? It's gorgeous! And I know where a magnolia tree is! I LOVE this! You are always so inspiring!